Carrie Lex Germain, age 83 of Troy, passed away January 15, 2019 in the Hospice Unit of Upper Valley Medical Center. She was born June 30, 1935 in Cookeville, TN to the late George W. and Willie E. (Whitman) Robbins. Carrie is survived by her daughter Michelle Martin (Todd) of Troy and their goddaughter Bethany Barnes (Caleb) of Huber Heights; sister Jean Ray of Cookeville, TN; stepson Floyd Germain (Judy) and their son Justin of Cookeville, TN; stepdaughter Jean Witt (Billy Paul Witt) and their son Paul of Dayton; as well as many nieces and nephews. She was married to William Germain and he preceded her in death on March 25, 2002. Carrie was a member of Calvary Baptist Church in Troy. 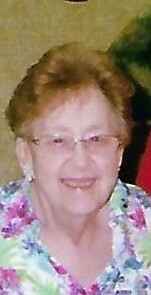 She loved to embroider, shop, and socialize with her family and friends. She was also an avid baker and loved to cook. She was a nanny to many children throughout her life. A funeral service will be held 11:30AM Saturday, January 19, 2019 at Fisher-Cheney Funeral Home, Troy with Pastor Nelson Swinehart officiating. Visitation will be from 10:00AM-11:30AM at the funeral home prior to the service. Interment will follow in Forest Hills Memorial Gardens, Tipp City.